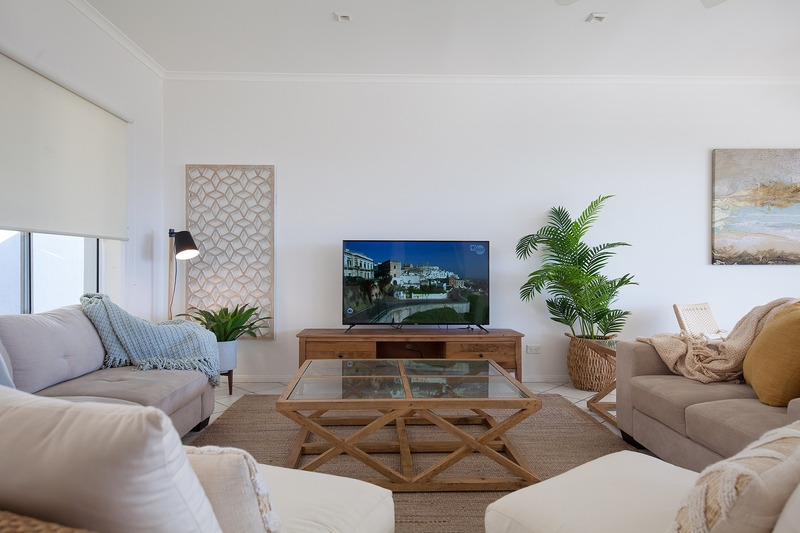 This big five bedroom family beach house is perfect for families with a relaxed appeal offering casual & comfortable accommodation for up to 10 guests. Located opposite Coolum’s 2nd Bay the beach & shops are only a short walk away. 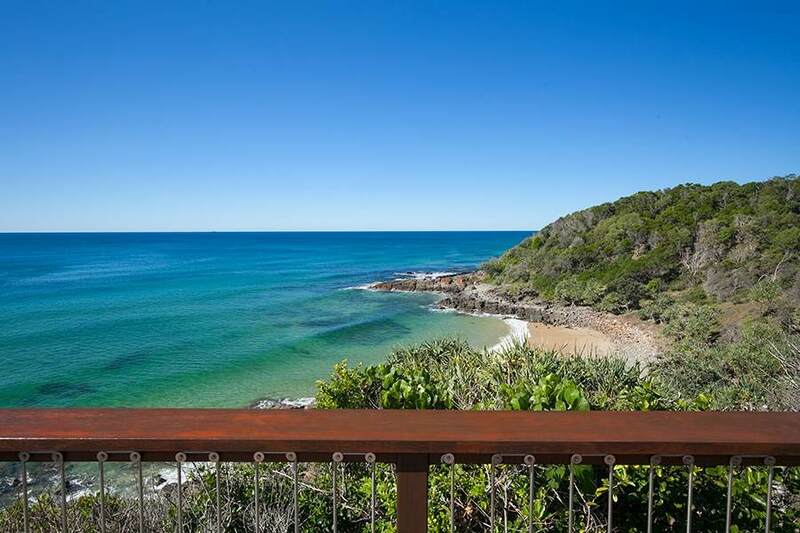 The sunny north east facing decks provide wonderful ocean views from this private location. The house is large light and airy with ceiling fans. The deck is massive with wonderful ocean views 8 setting outdoor dining table & chairs, comfy lounge chairs & Weber Q BBQ. This is a pet friendly holiday accommodation so you can bring the WHOLE family. ** This is the default bedding configuration and if you require the king to be made into singles please notify us at the time of booking. Huge deck with lovely ocean views, outdoor dining table & chairs, comfy lounge chairs & Weber Q overlooking the sparkling inground pool. Coolum Beach is quietly one of Australia’s premier beachside holiday destinations; this relaxed beach township with its pristine surf beaches is located 20 mins south of Noosa and 20 mins North of Maroochydore & Mooloolaba. Coolum is not only famous for beaches, but the natural bushlands that surround it. Home to Mount Coolum, popular to climb and watch the sunrise, Coolum is surrounded by nature parks and have a variety of options for different activity levels including nature walks and mountain biking. The hinterland towns of Maleny, Mapleton & Monteville are a 45min scenic drive away for a different feel, and activities and tourist attractions for the kids are close by.